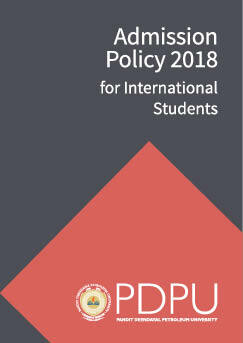 Pandit Deendayal Petroleum University (PDPU) established Office of International Relations (OIR) to develop global professionals by providing international educational exchange to university students and to create visibility of university in global educational scenario by collaborating with other reputed institutions and student exchange programs. Various programs of Office of International Relations were started with an objective to provide international orientation of educational programs and to explore international cooperation in education and research in association with international universities and industry experts. 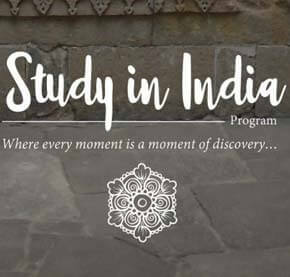 OIR promotes relationships between foreign universities and institutions and Pandit Deendayal Petroleum University (PDPU), and to help define the scope of such relationships through appropriate Memoranda of Understanding (MoUs). This involves, but is not limited to, interfacing with the appropriate authorities at the collaborating institutions on all matters defined in the scope of the MoUs, establishing and fostering linkages between researchers and experts in various areas, creating awareness about all such MoUs amongst the departments/centers/schools and students of PDPU to ensure their full participation in envisaged programs, etc. Office of International Relations (OIR) oversees and coordinates all international activities of PDPU. 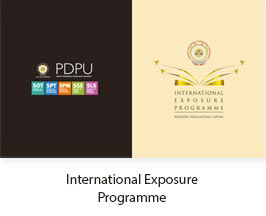 It helps to promote relationships between foreign universities, institutions and PDPU. It also promotes exchange programs for students and faculty through exchange agreements with partner institutions. OIR officiates as an interface with other internal entities to facilitate the visits of delegations and students coming to PDPU. OIR also invites embassies and consulates of various countries to increase educational and cultural linkages between organizations in the foreign countries and the institute.